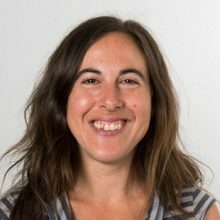 Maurita Prato, MSc, works as the Executive Director of LUSH Valley Food Action Society in the Comox Valley and is the past Executive Director of LifeCycles Project Society in Victoria. These organizations both focus on food security and sovereignty and help communities gain skills and knowledge to grow, access, and prepare healthy, local food. Maurita holds a Masters in Strategic Leadership towards Sustainability, a Diploma in Ecological Gardening and a Permaculture Design Certificate. After running her own Certified Organic farming business for 4 years and managing and working at other Organic farms, she spent another 5 years teaching and coordinated several food systems education programs in school yards, community gardens and classrooms to children and adults. She has worked as an Instructor for Pacific Rim College for the last 4 years in the Holistic Nutrition department teaching about the politics of industrial foods systems and the regional response of building local food economies. Maurita is thrilled to be teaching in the new Permaculture Program and looks forward to working and learning alongside her students.